Short on time? Because of it's small size, this Textured Reversible Lap Blanket is quick and easy to make. With the crochet cluster stitch and treble crochet stitch you can create this awesome crochet lapghan pattern. The beautiful soft green color will relax you every time you sit down to have a snuggle. The texture is extremely unique and it gives the crochet lap blanket tons of style. It's one of the few reversible crochet afghan patterns you'll find. Enjoy! 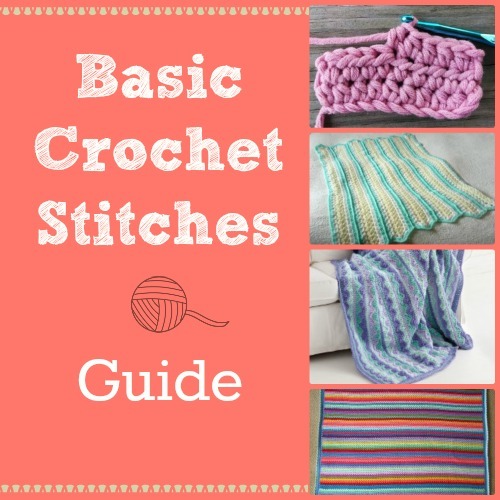 Change up your crochet patterns with the Basic Crochet Stitches Guide! I love the different stitches used in this Textured Reversible Lap Blanket! The Diamond knobs are so cute and easy, like the whole blanket. The pattern is well written and easy to follow with 4 different stitches makes this a beautiful blanket. I have saved this one and will be making it. Thank you for this free crochet pattern. I made this blanket twice - a friend of mine had twins. I used variegated yarn and a matching solid yarn. I only had a few months crochet experience at the time but they turned out nicely. Thanks for the pattern! Thanks so much Julia! Really appreciate it!